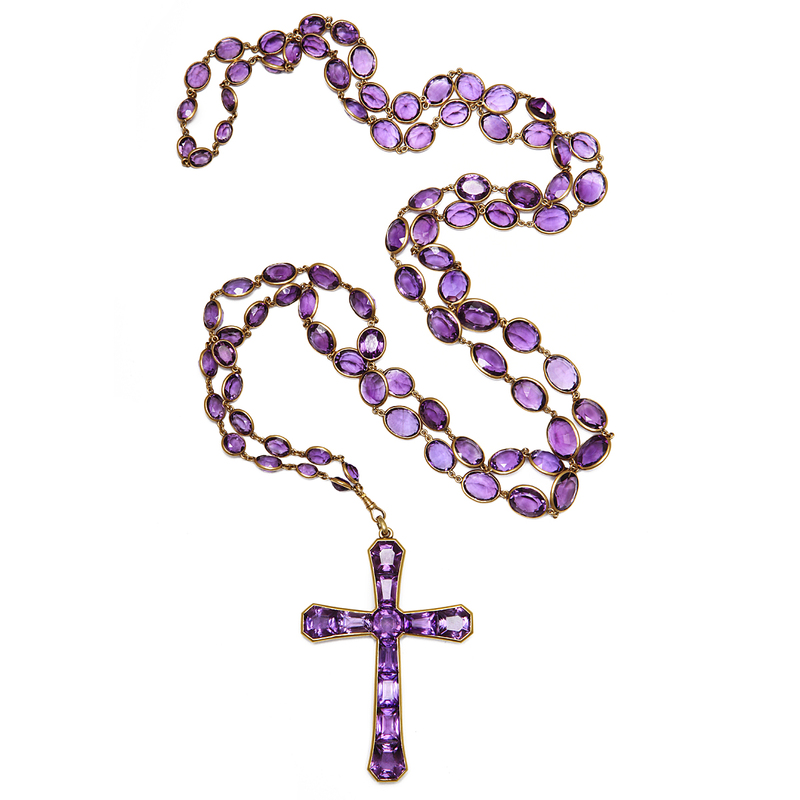 Antique sixty-three inch long gold chain, set with eighty-seven faceted amethysts suspending a fancy-cut amethyst cross. Length of chain: 63 in. Length of cross 3 1/2 in.